Balzer + Bray, 9780062271051, 40pp. 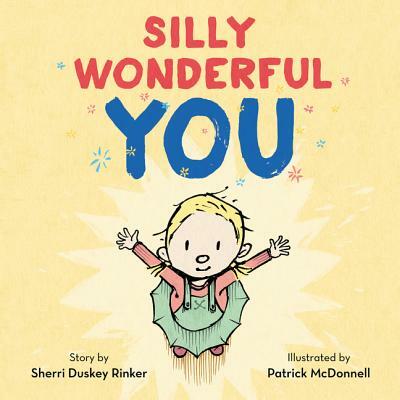 Sherri Duskey Rinker is the #1 New York Times bestselling author of Goodnight, Goodnight, Construction Site; Steam Train, Dream Train; Silly Wonderful You; and other popular picture books. Sherri lives in the Chicago area with her photographer husband and two sons. She can be found online at www.sherriduskeyrinker.com. Patrick McDonnell is the creator of the beloved internationally syndicated comic strip MUTTS, which features the characters that star in five of his children's picture books: Just Like Heaven, Hug Time, South, Wag!, and The Gift of Nothing. He is also the creator of Me . . . Jane, a Caldecott Honor Book and a New York Times bestselling picture book biography of Dr. Jane Goodall, and has written and illustrated A Perfectly Messed-Up Story and the award-winning picture book Art. He lives in New Jersey with his wife, Karen; their formerly feral cat, Not Ootie; and their adopted terrier, Amelie.